The Hudson Institute's Michael Doran, CFR's Philip H. Gordon, and Georgetown University's Paul R. Pillar join CFR President Richard N. Haass to analyze the current situation in the Middle East and discuss U.S. policy options toward Syria. The discussion focuses on the ongoing international campaign against the Islamic State, the state of the Syrian opposition's struggle against Bashar al-Assad and the Syrian government, and the role of Russia and Iran in Syria. The panel assess the successes and failures of U.S. policy toward Syria over the past year and identifies emerging threats and opportunities. HAASS: Well, welcome, everybody. Feliz año nuevo. Happy New Year. I think this may be the first event of the new year here, the first of what will be hundreds here in New York, as well as in Washington, as well as around the country. And like many of them, this will not simply be available to those of you in the room, but to those with access to all things digital. This is part of our series—our What to Do About Series. It’s made possible by support from HBO. And what the premise of the series is to take a current foreign policy challenge—in this case the considerable foreign policy challenge that is Syria—and to ask the question in the way an administration would ask the question, which is what to do about it. And what we will do is begin with an assessment of the situation, which again is the way a National Security Council meeting would tend to unfold, just get the latest about what’s happening in and around and affecting the situation that’s being discussed. And then secondly, we’re going to just make sure that we summarize existing policy, what it is we are—we, the United States, are doing. And then, thirdly, what I’m going to do is turn to the three gentlemen up here about what it is they think we ought to be doing differently and what they believe it would require and what they believe it would likely result in. And we’ll all talk for a bit, and then we’ll open it up to you, our members. We’ve got three people here of enormous, and in some ways overlapping, experience. But again, it’s quite reflective of what a real meeting would be. Like, at the far end, I’ll start with Paul, Paul Pillar. Paul is an experienced intelligence hand. He was the NIO, the national intelligence officer, for the Near East and South Asia. That’s on the staff of the National Intelligence Council. So he would be the person who would have the principal pen when it came to writing so-called estimates, which are the principal, most influential documents that emerge from the intelligence community. He now writes in an unclassified way, sitting—affiliated with places such as Georgetown University, their Center for Strategic Studies. And in the transparency tradition, he and I worked together. When I was at the State Department, he was at the National Intelligence Council. And we worked closely together there in the run-up and aftermath of the 2003 Iraq War. To his right is Phil Gordon. I think of the four of us, Phil is the individual with the most recent government experience. He worked at the National Security Council. He was a special assistant to President Obama. And he was the White House coordinator for the Middle East, North Africa, and the Gulf. And now we are fortunate enough to have him here at the Council on Foreign Relations, where he is a senior fellow. Last and hardly least, closest to me is Mike Doran. He also had a job similar to what Phil’s was, similar to one I had back when, which was the senior director for the Middle East and North Africa, also on the National Security Council. What years did you have that? HAASS: 2005 to ’7, there you got it. So you got—he’s now—I should say Mike is currently affiliated with the Hudson Institute, where he’s a senior fellow. So again, what you’ve got here are three people, all of whom have been in the Situation Room for more hours than is healthy. (Laughter.) But there you have it. So I’m going to start with Paul. And basically, let’s start to paint the scene. So let’s talk about the situation literally and figuratively on the ground. And then I also want to spend a few minutes painting the situation diplomatically with the talks that have been going on, because in a sense one has two realities now. One has a physical reality on the ground and one has a diplomatic reality that’s trying to affect the situation on the ground. So, Paul, why don’t you start and then I’ll ask Phil and Mike to leap in. PILLAR: Thanks, Richard. It’s a real privilege to be up on this platform with these colleagues. The Syrian civil war is now in its fifth year. It was 2011 when it really got rolling, when the protests became a war. And the combat on the ground has sort of flat-lined, in the sense that it’s—many more lives are still being lost, but none of the multiple sides in this conflict seem to be on a trajectory where they can achieve a military solution, or anything close to it. Several months ago, we might have perhaps concluded that the regime was losing it. But if that were true, that’s certainly been stopped by the Russian military intervention, which began in late September, a little over three months ago. That was an intervention that had multiple objectives from Putin’s point of view, some of which had nothing to do with Syria, but certainly one of them was to shore up the regime. And with the airstrikes by the Russians, I think at least in the short term they’ve achieved that. If you look at the map of where things stand on the ground in Syria right now, it would show that the regime still has control over basically a corridor that runs north to south, includes Damascus, includes a couple of the other major urban areas like Homs and Hama, as well as the northwestern part of the country, which is a stronghold of the Alawites, who are most supportive of the regime. And then you’ve got major areas that more or less belong, although are contested, to non-ISIS opposition groups, some of them down toward the southwest near the Golan, and then a larger area up toward the northwest. And particularly in that larger area, the al-Nusra Front, which is the al-Qaida branch in Syria, is perhaps the most active of those opposition groups. And beyond that, ISIS itself—I’ll call it ISIS, Daesh, ISIL, Islamic State, whatever you want to call it—still has control over parts of the country along the Euphrates that go from the southeast of the country up to the Turkish border. And finally, substantial parts of the northern areas that do border Turkey are controlled by Syrian Kurds. The opposition is as fragmented and as divided as it’s always been. It’s a case of groups that number at least in the hundreds, by some counts even in the thousands, that have been forming various alliances, and coalitions and, coalitions of alliances. And they’ve been changing quite a bit. You have a coalition such as the so-called Army of Conquest, which has been supported by the—on the outside, by the Qataris, and the Saudis, and the Turks. But you had other groupings as well. As far as ISIS is concerned, over the last year or so it’s had some gains and some losses in territory, which pretty much nets out to about a net zero as far as Syria is concerned. They gained some ground in the center or southeastern part of the country, especially Palmyra, which was the place with the antiquities you probably heard about. But they’ve also lost substantial ground to the Kurds in the north. If you combine that with what’s happened to ISIS in Iraq, where it’s certainly been a net loser of the last year, then ISIS as a whole has had a net loss of territory in Syria and Iraq over the last—over the last year. As far as the diplomatic side is concerned, the multilateral diplomacy has accelerated over the last few months. There is what became known as the Vienna process, which was launched with a meeting in Vienna in—at the end of October, and was the formative session for what’s now known as the International Syria Support Group. That group had a second meeting in November. And basically what they’ve agreed on so far is the principle, at least, of the need for a ceasefire and a political settlement, without getting into the details that they could not yet agree with—agree on with regard to, you know, the near-term future of Assad and things of that nature. There have also been some other sessions on the diplomatic front. The Saudis had a meeting in Riyadh earlier last month with a lot of the opposition groups, a meeting that was basically rejected by the regime and by the Russians in the sense of declaring it to be non-representative of those who ought to be considered legitimate oppositionists. But at least the participants in that meeting did agree on the idea that Assad did not have to go before there was any negotiations, even if they still held to the idea that he had to go before there is any kind of real settlement. And then finally, just two and a half weeks ago on the 18th of December, the U.S. Security Council adopted unanimously Resolution 2254, which basically wrapped up some of the findings of these earlier meetings of the support group in Vienna, issued a very strong call for a ceasefire, and called further for United Nations involvement with the U.N. secretary general’s special representative charged with seeing what he could do over the next few months and setting a target date of six months from now for having some kind of interim political formula. One last thing I’ll mention, Richard, in terms of the scene is the dust-up we’ve been reading about just over the last few days with regard to the Saudis and the Iranians that involved the execution of the Shiite cleric and then the suspension of diplomatic relations. Obviously, none of this is good from the standpoint of making Syria diplomacy work, particularly given that that Vienna meeting back in October, one of the real breakthroughs there was it was the first time that the Saudis and the Iranians were sitting down in the same room to talk seriously about a topic like this. Nonetheless, I would not be overly alarmed about the effect that this particular set of affairs over the last few days would have, above and beyond what we already knew was all the enmity that already existed between those two rival regimes. There have been plenty of other things that have taken place over the last year or so that made it challenging enough, such as the stampede at the Hajj, in which hundreds of Iranian Hajjis were killed. And I note just the other day—or yesterday, I think—the Saudi ambassador at the U.N. made a statement along the lines of let’s not let this get in the way of our diplomacy on Syria. So not overall momentum on the ground in terms of the military situation. Some acceleration in activity at least on the multilateral/diplomatic front over the last few months. HAASS: Paul, let me just ask you one or two questions before I turn to the others. On the civilian population side, the numbers that are usually used at somewhere between 2(00,000) and 300,000 Syrian civilians have lost their lives, and more than half the population is either internally displaced or now refugees. Is that, one, essentially right? And, two, is there any dynamic there that’s in any way fundamentally different? PILLAR: It’s essentially right. The estimates—the number of Syrians killed, most of the figures are, like, between 150(,000) and 350,000. But roughly a quarter million would be a ballpark figure. And with regard to the refugees and displaced persons, we are talking about multiple millions, both in terms of the internally displaced and what we see going to Europe and elsewhere. But in terms of changing dynamics, and other than what we’re all very familiar with in terms of the surge of refugee flows to Europe in the course of the past year, I don’t—I wouldn’t describe it as, you know, a trend one way or another. HAASS: And one last question, that in terms of the recruits reaching ISIS, which has an impact, if you will, on the future military trajectory of things, do we—do we know of any fundamental changes or meaningful changes in that pattern? PILLAR: The short answer is no. You know, most of the very discouraging and alarming numbers in terms of a great increase over what we saw before was basically a 2014 going into 2015 sort of thing. But if we’re talking about, say, the last six months or so, I don’t think I would say there’s really a change, no. HAASS: OK. Phil, anything you want to add to the scene setting? GORDON: No. The scene setter was great. So maybe just one brief point on each piece. On the military side, I absolutely share Paul’s bottom line assessment, that this is essentially a dynamic stalemate—dynamic in the sense that there is a lot of fighting on the ground, and towns fall in one direction or another, but stalemate in the sense that neither side is likely to win a military victory anytime soon. Each side faces enormous challenges. The divisions on the opposition side. And on the regime side, mainly the cannibalization of their own forces. Syria has a Sunni majority and the backers of the regime are limited in number, they’ve been fighting a brutal war for four years. But the reason that is—that attrition is unlikely to lead to an opposition victory anytime soon is the fact of the outside support. When you’ve got Russia and Russian military power and Iranians and Hezbollah on the ground, that regime is not likely to fall soon either. HAASS: Can I just ask one question then about the dynamic stability? If there’s a pattern of continued, graduate rollback of ISIS inside Iraq, does that affect what either of you are saying about the implications of the stalemate on the ground in Syria? PILLAR: I think it does insofar as just the ISIS part of the picture is concerned. I mean, anything that shows ISIS to be shrinking rather than expanding is good news for us, bad news for them, and bad news for them as it affects their activities anywhere—or the recruitment anywhere. And that gets back to your earlier question about the flow of refugees. HAASS: You wanted to say one other thing before I turn it to Mike? GORDON: I was going to say one other thing about the diplomacy, which again I think Paul summarized very well. But don’t—it is true that the Vienna process was a positive thing, and it was good to get the Saudis and the Iranians in the room for the first time, although as you say that’s been troubled by these latest developments. But the diplomatic gap remains enormous, especially on the core question of the fate of Assad. HAASS: And if you want to add to the scene setting? DORAN: Well, we have—we have pushed the timing so far into the future, 18 months, he’s not going to leave on Obama’s clock, which gives Obama the ability to sit down now and talk about coordinating or deconflicting with the Russians and the Iranians comfortably, because he no longer has between them the question of Assad. So it’s an objective tilt in the direction of the Iranians and the Russians. And that has annoyed the Saudis and brought the Iranians in, but when we cram the Iranians down the Saudis’ throat in Vienna. So I think a lot of this tension that we’re seeing between the Saudis and the Iranians in other areas is really displaced conflict coming out of Syria. Syria’s the issue. The Saudis can’t afford to have a direct conflict with us over it, so they have sat down and said we’ll play nice with the Iranians, but they’re not going to do it. And the Iranians aren’t going to do it either. HAASS: Let’s talk about—Phil, you’re the most recent. Let’s just set the stage, at least the baseline, in terms of U.S. policy, what it is we are—we’re doing, particularly to affect the outcome in Syria directly. Let’s just talk about that for a minute. GORDON: So since the president said for the first time in August 2011 that Assad must go, coming back to this point, U.S. policy has consisted of efforts to strengthen and bolster the opposition, defined as the moderate opposition, in various way, political and military, so that they would be both united enough and strong enough on the ground to press the regime and its backers in Iran and Russia to a diplomatic settlement that would include a transition beyond Assad. That has been the stated goal of U.S. policy supported by others, Europeans, Gulf partners, for four years. The fact that it has not worked, because obviously Assad—they have not come to the table and negotiated a transition. You go summer of 2012 when we negotiated with the Russians the Geneva communique that called for a transitional governing body with full executive authority that would be determined by, quote, unquote, mutual consent—all of that was diplomatic jargon for saying you had to find a way to get beyond Assad and put a transitional government in power. That remains essentially U.S. policy today—find ways to support and unify the moderate opposition so that it can press for a political settlement. Now, Mike is right that over time I think it’s fair to say that the definition of what that transition would look like has evolved because the initial hopes, especially in the wake of the Arab Spring, was that it would come about fairly rapidly and fairly completely, and that Assad and this regime would be removed and something better would come in. But over time, as it was clear that Iran and Russia were going to back the regime and it wasn’t going anywhere, diplomats have been looking for different versions of a transition plan that might be more achievable in the absence of the most desirable transition, which would be a full one. HAASS: But in terms of what we’re actually doing, it seems to me one would obviously talk about air power, a degree of special forces, a degree of support. Why don’t we—let’s just go through the components of our policy, because I expect as soon as we get done with that, then we can talk about how some of that ought to change. GORDON: Right. So I said it was political and military. On the political side, there have been efforts to try to unify the groups on the ground so that there’s a coherent structure to represent the opposition. And the United States and others put enormous efforts into unifying those groups, and has not been able to do so, in part because of just how fragmented they are on the ground and in part because our diplomatic partners in this enterprise are strongly aligned with different groups on the ground. And there have been multiple efforts to try to get everyone together. And the United States has led some of those efforts. There’s something called the London 11 process where we and our closest partners, those who are supporting groups on the ground materially, would come together and try to unify this opposition politically. And the state of that effort is, let us say, incomplete—(laughter)—because they remain hugely fragmented because—again, you look at, you know, the Saudis have their clients and favorite partners on the ground, the Qataris, the Turks, the Jordanians, and ourselves. So on the political side we’re trying to bring them together. And then on the military side, there have been various forms of support to try to strengthen the capacity of the opposition to use its leverage, some from the United States and its European partners and then others with their own pipelines who are providing military equipment to the opposition to strengthen it vis-à-vis the regime. But they are fighting an armed, existing, standing military, backed by Russia and Iran. And so on the military side, our efforts have also not nearly been enough to bring about the political transition that’s the goal of U.S. policy. HAASS: And in terms of the intensity of the bombing that we’re carrying out against—basically against ISIS targets? GORDON: OK. But our bombing, as you say, is directed at ISIS. And the United States has not made it a policy to directly intervene militarily against the regime. HAASS: Right, so basically you have a diplomatic policy that’s, if you will, on one track, and a military policy that to some extent is on another track. GORDON: It’s not—it’s not on another track, in the sense the military policy is also designed to bolster the opposition, but with a clear limit. And that limit, for the United States, has been direct military intervention. So the president has authorized military force against ISIS, the legal basis of which was actually supporting the Iraqi government, which asked for support because you needed some legal basis for doing that. You can fight ISIS, this was a threat to the Iraqi government, but there isn’t a legal basis for the United States using force directly against the Syrian regime. HAASS: Before I ask for people’s recommendations let me just ask one analytical question. If nothing’s changed—basically, if we have a version of what we see how and U.S. policy doesn’t change because there’s no fundamental change or breakthrough on the peace talks or no fundamental change from either party, when we reconvene this meeting in six months or a year is the situation plus or minus what it is now? GORDON: Oh, it’s minus. And when we do get to what we should do about it, that would be my starting point. If there’s not a significant change in our collective approach to Syria, what we’ll see whenever we convene, whether it’s six months from now or six years from now, I think we would just see an even greater humanitarian tragedy, where this 2(00,000) or 300,000 number would be twice that, the refugee flow destabilizing neighbors with the millions of refugees in Turkey, Jordan, Iraq, and Lebanon overwhelming and destabilizing those countries, spreading to Europe, affecting our debate here. I think all of these strategic consequences of the war would clearly be in the minus category and not the plus category. HAASS: But your calling for a dynamic gridlock sounds like it’s a recipe for dynamic instability. GORDON: But I think that is undebatable. The instability is rising and will continue to. HAASS: OK, unless someone feels the urge to get in, let’s make the pivot, as we say in Asia, to what we then—what we should be doing differently. I always say there’s two choices you have in any either organization or policy. You either do different things or you do the same things differently, or both. So what is it here with Syria? Do we do different things or we do the same things differently, or some combination? Mike, why don’t we start with you? GORDON: No, I said we are supporting the opposition against Assad, but with limits. DORAN: Not that part of the opposition that is actually fighting Assad, right? There’s severe limits to what we’re doing. If you look at it from the 30,000-foot level, the Russians and the Iranians have intervened in Syria in support of the regime. And we have not—there has been no commensurate activity on the part of the United States in response. President Obama announced in May of 2014 a $500 million train and equip program to train the opposition, giving the sense that he was going to train the opposition against Assad. But he put political limits on that. The only people that they would train were people who would sign up only to fight ISIS and not to fight Assad. And as of fall you can tell me how many soldiers came out of that train and equip program—five, four? So we’re simply not doing it. So from the point of view of our Sunni allies in the region, we are—we are tilting in the direction of Russia and Iran. We are working militarily on the ground with Kurds who are directly—Kurds in Syria who are directly aligned with the PKK in Turkey. So we can’t win this. The reason we have 100—or a 65-member coalition that’s been at war for a year and can’t defeat 20(,000) or 30,000 guys—nasty guys with pickup trucks is because we don’t have any Sunni allies. We’re alienating the Turks by supporting the Kurds. We’re alienating the Saudis by supporting—by tilting in the direction of the Iranians and the Russians. And we’re not actually training and equipping the opposition on the ground. We can’t win this without Sunni allies. That is the—that is the number-one program that we have to solve. And we can’t do that, Richard, without realigning against Iran. HAASS: OK, but what is—I’m going to push you on one more question. So what would it mean, though, on the ground? Whatever it is we do or don’t do with Iran, what would we actually have to do differently? I mean, let me just give you some options. Is it that we would bomb 2X, 3X, 4X, or against different targets? Would we be putting more U.S. forces on the ground? If so, how many for what purpose? Is it to create various safe havens or no-fly zones out of which forces would operate? Would it be far-greater arming of the Kurds, even at the cost of our relationship with Turkey? What is would be—because, again, if you have a—if the status quo plus going forward is only going to give us more misery, what is it we do differently? DORAN: We establish a—we establish a coalition of our traditional regional allies—Turkey, Saudi Arabia, and so on—in close support of training and equipping opposition to Assad on the ground, the kind of—exactly the program that President Obama announced at West Point in May 2014. We do work with the Kurds, but we work with the Kurds—we work with the Kurds only within a limited area, being mindful that they have ambitions that go way beyond what we want to be encouraging. HAASS: Let me interrupt you for a second just so I understand, so would you move from an anti-ISIS first policy to an anti-Assad first policy? DORAN: I would—Syria is the center of gravity. It’s more important than Iraq. That is the—that is the issue on which everybody else in the region is aligning. And our position on Assad is absolutely crucial to mobilizing—to mobilizing Sunni opposition to ISIS and Assad. The two things are interrelated. So I would—I would put an emphasis on both simultaneously, but making sure that everyone understood that we were serious about getting rid of Assad. HAASS: And just one last question and then I’ll turn to your two colleagues. So you would have us do more for forces and basically saying we’re giving you these arms and you can go attack the regime with them. Would the United States under your approach take any direct military action against the regime? DORAN: Yes, we could—we would—we could do in support of. We have to have forces on the ground. You can think of a ratio of maybe one to five, perhaps. We can start—the most important thing, though, is not the tactics on the ground but the paradigm in which we’re operating. HAASS: But let me just press you, just so I understand. Imagine we were to give support to some Sunni tribe. And the idea would be, they can take on the Assad government, which is what their priority would be. And they get into trouble and they call in. Would we provide close air support for them against forces of the government? DORAN: Yes. Yes, yes, yes. HAASS: Even if those forces of the government were backed by Iran and Russia? DORAN: But you can—the thing is—the thing is that we can—the model for all this is the surge in Iraq, right? And you can mobilize forces in local areas to—in local areas for local—for local objectives. DORAN: Well, no, I’m saying—the threat in what you—the danger in what you just suggested is that it would push us immediately into war with Russia, which would be a bad idea, I agree. (Laughter.) But so you don’t—you don’t—we can pick and choose targets—we can pick and choose targets in order to establish a position in Syria, right, that would then give us much greater leverage in the diplomacy against Russia and Iran without bringing us into direct conflict with them immediately. GORDON: Can I clarify one thing too, in the spirit of clarity, since Mike said that I said that we weren’t supporting the opposition. I want to be very clear on that. The United States is and has been supporting the opposition. The Department of Defense overt train and equipment program to which you referred, you’re absolutely right, did not get off the ground because it was targeted at ISIS and you couldn’t get recruits to fight ISIS. But the United States has consistently been supporting the rest of the opposition. We don’t detail—the administration doesn’t detail the political and military ways in which it supports the opposition. But it has, and it does, and I just want to be clear about that. DORAN: But just one point on this, when Putin intervened, he bombed forces trained by the CIA. What was our response? His first targets were—his first targets were opposition elements that the U.S. had been working with. His targets—his targets up on the Turkish borders are elements that the Turks are—Turkmen, right? They’re not ISIS, right? We have a NATO ally supporting Turkmen on the border. He’s attacking them. What’s our position? HAASS: One question—let me just ask you guys a question, which is rather than necessarily calling in U.S. close air support, would not one of the potential for the United States to consider a category of armament that we would provide to Sunni tribes in Syria, that would, for example, make it much more difficult for Iranian or Russian airpower to be used against them? Why wouldn’t we—why wouldn’t we consider the idea of giving them far more capable air defense systems so they could defend themselves if they were undertaking a local offensive? What’s wrong with something like that? DORAN: That would be beautiful. HAASS: Is that something you would—I mean, is something we ought to consider? GORDON: The challenge of—I mean, what you’re essentially talking about is MANPADS, Man-Portable Air-Defense System, which would in fact be useful in deterring the Syrian regime from using air power, which has been a factor. Unfortunately, they’re also useful in shooting civilian aircraft out of the sky. And so you have balance the risk that these air defenses, which locally used would be—may be beautiful in Mike’s words, but it wouldn’t be beautiful the first time a civilian aircraft on the way to, you know, Tel Aviv or somewhere in Europe came down. HAASS: So let me push you and Paul, what is it—given that your analysis is fairly bleak, all things left alone where we’re heading, what is it you would do or recommend be done differently at this point? Paul, we’ll start with—we’ll give Phil a break. PILLAR: Well, I think we ought to start with the first principles. Number one is, no matter how heart wrenching the problem is, even the superpower can’t always solve the problem to our satisfaction. Number two is—and so that’s—you can read a sort of status quo implication into that. Number two is that there are all kinds of conflicts being played out by the other actors there internal to Syria in the region that are simply not reflective of U.S. interest. It is not an interest of the United States to take sides between Sunni and Shia. It is not an interest of the United States to have a particular outcome—a political outcome in a particular capital. We have our interests with regard to our own lives and resources. We certainly have a strong terrorist concern with regard to ISIS. But this is a long-winded way of saying, to the extent that I would do things differently, it would be more of an emphasis on the diplomatic track with the kind of flexibility that would make negotiated interim arrangements more feasible. And this gets back to what Mike raised before about the Assad must go formula. You know, Mike described it as a backing off from the Assad must go. And although we’re not looking backward at former mistakes, I think what I would do differently is a clearer and more specific, and more complete backing off from the Assad must go in the timeframe we’re talking about with regard to interim arrangements. Eventually, he’s going to have to go. But the Assads have been in power in Damascus for 45 years—30 under the father, Hafez, and the last 15 under Bashar. And you’d have a hard time convincing me that, you know, needing to go is one of the things that is essential for bringing this situation more under control. The basic principle here, I think it is the war itself and the conflict itself, rather than a particular political outcome, that makes for the bad things that we as Americans ought to be worried about, especially ISIS and especially what other radicals, as well as the al-Nusra Front, breed upon. That was true with regard to Iraq, where there wasn’t this group before the regime was overthrown with our invasion. And it’s true with regard to the Syrian civil war, where the biggest boost that ISIS got after it came into existence was the war itself and taking advantage of the chaos. So I think what all that adds up to is I wouldn’t change a whole lot, except to recognize that the objective—the prime objective is not to engineer a particular political outcome, but to tamp down the war, to reduce the violence, reduce the chaos, because that’s what the extremists, ISIS included, breed upon. HAASS: Can I then—I’m not sure if it’s asking a question—I want to paraphrase what you said, and tell me if it does violence to what it was you were suggesting, is that for humanitarian reasons we’d like to see the situation in Syria calm, so more people could certainly stay alive and hopefully not have to flee their homes. We’d like to see the terrorists reduced in number and ability to carry out terrorism. But the United States does not particularly have a major stake in such things as the complexion of the Syrian government, indeed, borders of Syria, whether Syria in any way looks like a normal nation-state. That what you’re suggesting in some ways is a more modest set of American interests, given how difficult it is to get ambitious in Syria. PILLAR: I don’t think that does violence to what I’m saying. I wouldn’t want to implication that we don’t care about Syria as an eventual unified state over the long term, because if you start, you know, breaking up the boundaries then that raises all kinds of other questions. But overall, I think that’s a fair description. HAASS: Phil, what would you—what would you do differently at this point, given your own analysis? GORDON: So I would do something differently that flows from my analysis, which is my analysis—you asked me to describe what U.S. policy was. And I said it has been to strengthen the opposition to the point where we can use leverage to negotiate a political solution in which Assad goes. I don’t think that policy is working and I don’t think it is likely to work anytime soon. That’s what I said sort of analytically. And that is because we are not asking the regime to make compartmentalized or modest concessions, like give up its chemical weapons or give up a part of the country. We’re asking it to disappear, to the risk of all of those who happen to be still supporting it. And we’re asking it to do that, even though it has strong backing from major powers like Iran and Russia, which have very profound strategic interests in committing, to the point that Russia is actually willing to intervene militarily. So the course we’re on is unlikely to work. Now, an alternative, in the direction that Mike pointed, would be to say whatever it takes and go all in and do whatever we would need to do to remove that regime, which is no doubt in the U.S. capacity to do. But I think the result would be what we kind of call, you know, catastrophic success. (Laughter.) We would root out the regime, but then, you know, create millions more refugees, all of those who happen to be still supporting the regime—the Alawites, Christians, the Sunnis that are still supporting the regime—and find ourselves either leaving Syrian in even more state of war among all of these competing factions, let alone the confrontation with Russia and so on. So I think that what we need to adjust—and this is our political objective—if your current means are not adequate to achieving your objective, you either have to change the means or change the objectives. I think changing the means is unrealistic and possibly counterproductive. The objective, on the other hand, should really be—and I agree with Paul on this—stopping the war. There was a time, maybe in 2011, where you could have argued that it was, quote, unquote, worth the war, that getting rid of Assad would be a good thing and wars have—you know, there are costs of wars, but those costs would be worth it to have a better thing in place. DORAN: But when you say stop the war, that means support Assad, Iran, and Russia, right? That’s what you’re saying? GORDON: No, it means change the political objective from insistence that Russia, and Iran, and Syria abandon any role in Syria, even though they have significant support in some quarters there, and prioritize a ceasefire over the political transition that we still want and should still push for. DORAN: That means support Iran, Russia—Iran, Russia—let’s just be clear because we’re not stopping the war. GORDON: No, it doesn’t mean supporting Iran and Russia. DORAN: We’re helping Iran and Russia win. That’s what we’re doing. DORAN: That’s how we’re stopping. GORDON: It is stopping short of completely driving Russia and Iran out of Syria, that is correct. And if you want to pay the price to do that—again, I think we’re militarily capable of doing that. We would start by shooting down the Russian planes that are currently operating there. And by the way, the ships—they have S-300s and S-400s on ships in the Mediterranean that would also be hit. DORAN: No, no, no, no. Let’s just—let’s just use clear language about what we’re saying, right? We’re not stopping the war. We’re taking a side. And we’re taking the opposite side from the one I want to. GORDON: I think my words are a more accurate description of what I was trying to say. DORAN: Well, how do you get to that war stopping without supporting them? GORDON: Well, I’ll say one last thing. PILLAR: Relevant to Mike’s point—and I agree with Phil on this particular question—on where Russia is coming from. This isn’t a matter of sort of giving in to Russia and Iran. The Russian military intervention has had all kinds of negatives that we’re familiar with, but I think there are at least a couple of positives that are directly relevant to what we’re discussing here. One, it gives Putin more skin in this game in the sense that he and his country have that much more of a disadvantage the longer this goes on, the more resources it takes up, the more that Russia becomes the object of radical Sunni ire, as we were reminded of with the plane being bombed in the Sinai. That’s a good thing from the standpoint of the diplomatic objectives that Phil and I were talking about. DORAN: We’re going to defeat Russia by choking it to death by feeding it Syria, is what you’re saying? GORDON: Can I just—can I just finish? PILLAR: No, I’m saying they’ve got a—I’m saying Russia has objectives and motivations consistent with the objective of tamping down this conflict, having a negotiated formula that does not necessarily involve Bashar Assad staying in power. DORAN: They just—they just—Iran and Russia just intervened militarily to shore up the Assad regime. And you’re saying that somehow, by sitting back and allowing them to do that, we’re going to put ourselves in a position where they’re going to dismantle the Assad regime and open it up to Sunni participation. It’s completely contradictory. DORAN: I see no sign that they define their interests as you’re defining their interests. HAASS: This is like the government where you lose control of interagency meetings. (Laughter.) So for those of you who wonder what it’s really like, this is painfully accurate. (Laughter.) Phil. GORDON: Let me finish, and I think it also answers Mike’s allegation about, you know, giving into Iran and Syria. Just to be clear, I am not proposing that we work with Russia, and Iran, and Assad. That view is out there that we should somehow partner with them, you know, as part of our anti-ISIS campaign. That’s not what I’m proposing. I am proposing that we seek to end the current conflict more or less along the lines of control that are currently on the ground. And the main—and I would argue that while not perfect—because, look, I would love to see Iranian and Russian influence disappear from the region too—that outcome if we could get it, and I think that’s what deserves some conversation is could we get it—I would argue that that outcome would be many times better than what we currently have, or than would be the result of a doubling down on a military approach to drive Iran and Russia out of Syria. So I think the real issue, Richard, is could we get this sort of outcome, nor would it be desirable. HAASS: Let me ask one last question, then we’re going to open it up to our members, which is: One of the aspects of the Vienna process and the resolution that ensued from it, talked about an unrealistic—or, let’s put it this way—highly ambitious 18-month political calendar toward a transition and so forth. Let me suggest a very different approach, and I’d just be curious to see what the collective reaction is, which is in order to get things moving, sometimes you take a step that doesn’t get you where you want to go, but gets you away from where you are. So one thing would be a first-stage political transition that continued to give the Alawites an advantage position. And the idea would be that it would reassure them that they would be advantaged, even if Mr. Assad were to be given a dacha outside of Moscow or wherever. And even though that doesn’t meet the—it doesn’t reflect the demographics of Syria given the composition of the society, that if your first goal is to remove the individual who is so associated with fueling the war and recruiting for ISIS, should we not have, rather than such an ambitious, almost political neutral transition plan, why not have a much more biased transition plan, which is not, shall we say—doesn’t meet, you know, the perfection of the federalists, but it might meet something, which is the reality of Syria, that we need to persuade the Alawites of Syria that they will not suffer the same fate as the Sunnis of Iraq after Saddam. So why not think about a political transition rather than an idealistic one, like you see in Vienna, why not something much more biased towards the status quo, with the one exception is it might facilitate the departure of the individual who so personifies the problem? What is wrong with that? There’s my new idea. What is wrong with that? GORDON: But that’s where the middle ground of Vienna is. HAASS: It’s a cheap-shot joke. HAASS: I’m going to give you each one last short word, then I’m going to open it up. Mike and then Paul. DORAN: So, I’d just like to say that as Phil said very clearly, we have instability going on into the future. We don’t have a choice of stability. We don’t have a choice of peace. We have a choice of the current dynamic or trying to change the dynamic. The only way to change the dynamic is to—is to generate forces on the ground. We should do that with an eye to generating Sunni allies. If we do not have Sunni allies, we cannot defeat ISIS. As long as we are aligned with Russia and Iran, and we are aligned with them, as long as we are perceived to be aligned with them by the regional powers and with the PKK Kurds, we will not have anyone in the region that will genuinely support what we’re trying to do against ISIS. So the anti-Assad forces and the anti-ISIS forces, if we want success in either side, we have to do both simultaneously. If we do what Paul and Phil are suggesting, we cannot defeat ISIS. So let’s just be clear about that. That’s what I’m trying to say. There is—there is no work with Iran and Russia or carve out part of Syria for them and defeat ISIS together. That will never work. HAASS: Paul, you get the last string and then we’ll open it up. PILLAR: I’ll just react to your suggestion, Richard, which I think has a lot of merit to it. The one sort of qualifier I’d put on it is to make sure everyone understands that it is interim and that enough of a diplomatic momentum or enough of a diplomatic and political mechanism is there that there wouldn’t be the suspicion that this would become another one of the so-called interim arrangements that lasts forever. But one thing in support of your idea is the indication of a lot of discontent within the Alawite community with how Assad and the regime decision makers have handled things. There is a great deal of support, from all indications, of an Assad-less future, in which Alawites would see that they would still have a part in Syria. HAASS: OK. With that, let’s—now that we’ve solved it up here, let’s open it up. And we’ll try to get as many people as—I see a famous pollster in the next to last row there. Just introduce yourselves, be direct. Q: Sure, thanks. Craig Charney from Charney Research. And as Richard said, we have worked on the Syrian problem a bit. One of the things that has surprised me in the conversation so far has been the focus on tactics rather than the focus on end states. And I’m curious what sorts of end states you think might be able to resolve this situation. Some people have suggested partition, which de facto or de jure seem to be implied in Phil’s comments. Others have talked about Lebanonization, you know, as after the Taif Accord—a weak central government, power-sharing, and competition between pro- and anti-Iranian factions, but based more on ballots than bullets. Maybe there are other possibilities. But what are you thinking we should be aiming for? HAASS: Good question. What do you think? Because it gets back a little bit, do we have—should we be stuck to some version of trying to restore the status quo ante? You’ve got the disappearance of an effective border between Syria and Iraq. You’ve got Kurdish and other forces that obviously have claims on both sides. You got Sunnis. So why not think more imaginatively either about how to reconstruct Syria or how to reconstruct even parts of the region. GORDON: So I can start. I’ve done some thinking about end states. Just together with Jim Dobbins and some other colleagues we published a paper at RAND that looked at a potential end state that would start with what I’m talking about here, which is a ceasefire in place, more or less. And Paul well described the terrain with the Kurds mostly in the north and the regime has sort of the Damascus spine on the west coast, and you have the moderate opposition around Idlib and Aleppo, and then in the south, which would be a noncontiguous area for them. And then at present, you have ISIS in a zone that we would all have to fight. But if you could get a ceasefire in place based on local government, local policing, autonomy of these zones, more or less aligning with the situation on the ground now, and more or less aligning on the ethno-sectarian composition of those areas, then you have a vision for something that might bring some relative stability. Let me be clear, that’s not partition, because I don’t think we want to start in the Middle East going down the road of carving out new states, because you have no idea where it would end. But you also have to be honest and realistic that the old Syria under rule out of Damascus just is not going to be put back together again. HAASS: But, Phil, why not have a—if you say, to your last point, why not think about something like Alawistan. So you have either Mr. Assad or his successor is over—is the mayor of some kind of an autonomous region of Alawites. You have Sunnistan. You have elements of a Kurdish—Syrian Kurdish area. Why be wedded to the nation-state model in a part of the world where, quite honestly, if you look at the history of the nation-state model and the maps, it’s, shall we say, controversial at best. It’s 100 years old. So why not—why not think imaginatively? And why assume that it’s necessarily going to be worse than what we have, because it’s pretty bad what we have? GORDON: That is more or less how I’m thinking about it. I mean, you can—you know, what you call these things and the formality of borders, but essentially these regions become responsible for self-government. I would prefer that it remain in something still identified as Syria, just so you’re not setting precedents for—but those to me seem to be details. HAASS: We have versions of that in Iraq now. GORDON: Of course you do. And that’s just the reality. DORAN: I think Phil makes a good point about not wanting to open up the—as problematic as these units are, it’s impossible to imagine any other unit that is going to be less problematic. And the minute you throw open the question of Syria, then you throw open the question of should we have an independent Kurdistan. That then would—would the—would the Kurdistan in Syria have claims on Kurds in Turkey and so on? You open up a whole can of worms, and it’s a recipe for continued violence in and of itself. So I think the way you square the circle is, along the lines of what Phil is saying, some kind of regionalized, federalized Syria and a federalized—and a federalized Iraq. But you can’t get from where we are now to what you are suggesting without having forces on the ground that are going to carry out this partition. HAASS: I would just sort of say I do think there’s a case for rethinking things like independent Kurdistan, because if the Kurds are the most effective fighters against ISIS, you may want to think about what’s the conditional deal you would form with Kurds in Iraq and Syria. You may not want it, for good reason, to extend to Kurds in Turkey or Iran, but there might be a case for a mini-Kurdistan that the United States should support as an independent state. DORAN: They’re only—they’re only effective fighters against ISIS in those areas which correspond to their vision of Kurdistan. DORAN: So they’re not—they’re not effective allies against ISIS writ large. They can’t—they’re not the basis for a new order. Q: Hi. I’m Kimberly Marten from Barnard College at Columbia University. Thank you for an absolutely terrific set of presentations. My question is that everybody’s been talking as if everything is very rational, and if we can come up with a solution that serves everybody’s interest. But what we’ve seen all over the world when we’ve had one form or another of ethnic or sectarian conflict is a desire for revenge after the conflict itself is over. And we certainly saw that with the attempt to come up with a reasonable solution in Iraq, because it turned out to be a disaster to give the police and the health ministry to the Shia because they used it to take out revenge against the Sunnis. So what role do you think revenge attacks will happen after the actual fighting is done? And is there anything that we can do try to try limit the damage of what we know will be the revenge attacks that will target civilians in the future? PILLAR: I think it’s related to the previous question in that, insofar as you have the kind of formula that Phil described, where you have real authority being exercised in localities and regions on the ground. This presumably would at least lessen the physical capability for this kind of thing, as opposed to throwing everyone into one polity with, you know, no effective borders on the ground. So, yes, there will be revenge attacks. You are quite right in citing history of other things. Besides the sort of regional delegating real authority and, in effect, boundaries, even if they—we don’t draw new boundaries on the map, on the ground, there are the other lessons that have been learned from South Africa and other places with regard to things like truth and reconciliation commissions that do effect the political atmosphere at least marginally in the direction of reducing the amount of bloodshed that comes from the all-too-real fact of revenge killings. HAASS: I would just think that the answer to revenge killings, rather than truth and reconciliation, are dealing with the past, which I think is a bridge too far here. Again, I think it comes back to thinking about a map that reflects more homogeneity rather than heterogeneity. And it goes against certain Western liberal thinking about how societies ought to be constructed, but sometimes the best is the enemy of the possible. GORDON: It necessitates that. And you know, the Vienna communiques—which are, you know, admirable—talk about rebuilding an inclusive, transparent Syria. And that’s a—that’s a terrific goal, but it’s just not realistic while people have recently been killing each other and are killing each other now. So it reinforces the need for that realization. And I would also argue it reinforces the need to decouple the ceasefire from the political process, because as hard as the political process will be for years, while it is going on—while the fighting is going on, they’re just not going to agree. Q: Raghida Dergham, Al Hayat. Phil, you cannot decouple the ceasefire from the peace process because it’s not going to work. I think—I think Mike is absolutely right that we need to make sure that we have the Sunnis fighting this war against ISIS. And in order to do that, you cannot do that in an alliance with Iran in Syria. That defeats the purpose. You have to be pragmatic, no matter what you think about Iran, decouple what we want to do with Iran in terms of the nuclear deal, which has been already accepted by the Gulf States. But you can’t give them Syria on top of Iraq. That will backlash. And I think, Paul, I mean, what you’re saying—leave it as it is and just doctor it a little bit—is a disastrous potential. You haven’t—neither one of you have made the argument as to why would it be good to just go along the lines of what we have right now, a de facto partition. I don’t—I don’t see the argument, that why would this be less bloodshed, less people killed. And finally, Richard, what you said—your idea, which is a very good idea—it’s exactly what the Russians have started to do in the Vienna process. Q: (Laughs.) No, but in fact—in fact—and this has been agreed to by the Saudis and the other participants in the Vienna process, to decouple—you know, to spilt the man—Assad the man from the regime in Syria. And so that has been a good beginning, and that’s been pretty much agreed to by pushing—by agreeing here in New York to push back for 18 months. And I think that should—the international community should be building on that, above all the United States, in order to guarantee that we don’t postpone talking about Assad to later and then have him stay de facto as well. That also would be disastrous. HAASS: OK. Phil, let’s just keep coming back to this, because it’s really a direct question of your idea that you could ever have things calm down so long as you have Assad in power. And then it’s the question of—it gets to Mike’s point—there’s not a lot of Sunni Arab interest in fighting ISIS, if you will, and just around the reality of Assad being in power; that, indeed, for people like me the reason you want Assad out of power is not just to enlist Sunni tribes, but ultimately you want to enlist the Syrian government against ISIS. And the only way we could ever partner with the Syrian government is with a post-Assad Syrian government. So the idea—I mean, how is it you react to all that? GORDON: I heard—(laughter)—OK, fair enough. HAASS: I thought she made very good points. GORDON: Almost all of us. (Laughter.) Everyone she addressed was wrong. GORDON: Two things. One is, to repeat, if I thought there was some realistic way to achieve this goal that we all aspire to—a moderate, decent government that replaces Assad in Syria—then I would absolutely favor that. The problem is there is not a path that gets you there that doesn’t seem to have a worse consequence. That is the path that we have been on, and we’ve seen the result of that for four years. So the problem is, I think, that of all the potential outcomes if we were to double down and use force and drive out the Russians—of all of the potential outcomes of that, decent moderates coming to power in Damascus and governing all of Syria seem to be the most unlikely. So I just think that’s just the realistic starting point. Now, you’re—it’s fair enough for you to say, why would anyone go with my approach or a ceasefire or devolution, especially after all this war. All I can say is it’s never really been put on the—on the table. You know, the question is, could you ever get the opposition to stop fighting? Could you ever get the Turks and the Saudis to stop fueling them? If has never been put on the table that, for—in exchange for deferring their political objective of getting rid of Assad and having a new transitional government and all of that, they could get local governance, humanitarian assistance, prisoner releases, the end of Assad’s offensive operations, the end of barrel bombs, support from the international community, and the beginning of a process that would ultimately deal with Syrian governance and institutions. I think that is a lot more attractive a future for these poor Syrians, and frankly their sponsors, than what’s on offer now and what’s likely in the future. HAASS: I see a hand back there. I can’t see who it is, sorry. Yes, ma’am. I don’t have my glasses on. Phil, I understand and sympathize with President Obama’s handwringing over the past several years regarding military intervention in Syria, but what wasn’t discussed at all is that, in fact, military intervention in Syria is underway against ISIS. And I haven’t heard anybody articulate why that’s a national security interest in a way that everything else happening in Syria is not. And second, I agree with you that the best option right now is ending the destruction of Syria through some kind of a process that will end the war. But the concern I have is that the Vienna process is actually really a war process and not a peace process, because it really attempts to unify some of the opposition with Assad to fight—continue a fight against Nusra and ISIS in over a third of the country, and very explicitly says that the ceasefire will not apply to areas under the control of ISIS and Nusra. So how is it that the very process that’s being laid out is actually envisioning a continued fight, where everyone is unified against ISIS and Nusra? GORDON: You want me to start with that? GORDON: Again, to repeat, there are no simple answers in Syria, and it’s impossible to have pure consistency across the board. But here are the answers to those questions. You know, why fight ISIS and not the regime? I think we’ve concluded—you know, not just the president, but the United States—that ISIS is a real threat, kidnapping/beheading Americans, seeking to take over and destabilize our partners in the region, and impose a really horrid, barbaric regime, and we have every interest in stopping that. And we have concluded that there are discreet and effective things we can do militarily to contain that threat and degrade it, and ultimately destroy it. And that’s what we are doing materially in both Iraq and in Syria. It does, as Mike and I have discussed before, raise challenges, because to do it in Iraq—to fight ISIS in Iraq, you inevitably find yourself on the same side as Iran. I wish I knew geometry well enough to do it without being on the same side of Iran, but that’s not an option. When ISIS is taking Ramadi and Mosul and threatening Baghdad, yes, if you’re killing ISIS members in Iraq, you’re doing it on the same side as some nasty Shia militia. I don’t like that, but we have concluded that it’s in our interest to do that. That’s very different from, and I don’t think naturally leads to, oh, well, if you’re going to send some Special Forces or use airstrikes against ISIS in Syria, it must be a good idea to do it against the regime as well. They’re two separate questions, and doing it against the regime we’ve talked a little bit about. But there you have to answer the question, is what are you trying to achieve and what does it take to achieve it? And I’m very skeptical of the notion that, oh, it wouldn’t take an Iraq-like occupation or 150,000 troops; just, you know, send a tough message—some airstrikes here, some TOW missiles there, and Assad would get the message and come to the table. That is very inconsistent with our experience throughout history in the Middle East and elsewhere. And don’t imagine—again, if we were asking for a discreet concession, like giving up chemical weapons—which wasn’t even all that discreet; it was a pretty big deal—then I think, you know, the threat of some military force can achieve it. In the Balkans we used force. I mean, there’s some interesting lessons there. Milosevic, we decided that NATO would do some bombing there and get him out of Kosovo. Again, we weren’t asking for regime change, we were just asking for him to withdraw some security forces from a territory that he didn’t even control before. There it took 78 days of some 50,000 sorties from NATO countries before he was even willing to do that—and the threat of a ground force, by the way. So don’t imagine—in Libya, same thing: no-fly zone, NATO against a regime in Libya that hardly was backed by anyone, let alone had Russian forces and Iranians and Hezbollah. And there, too, it took seven months of NATO bombing and arms flowing in from across the Gulf before it ended. And it didn’t end with a nice transitional government of Gadhafi turning over—you know, agreeing to leave and keeping institutions intact; it ended with him being dragged through the street and chaos and civil war in Libya. So let’s not—that’s why it’s important not to minimize what military action would take in Syria and what the results of military action would be. DORAN: I don’t want to put words in the questioner’s mouth, but I took her to be saying something slightly different, which is that—which is that this does not end operations by the regime, by the Russians, by the Iranians, the ceasefire that you’re talking about. It’s a ceasefire in certain areas, and then designates other areas as a kill zone. And all of our experience, as you—as you have so rightly pointed out, it’s not easy to force these actors to do exactly what we want. All of our experience in dealing with the Russians, the Iranians, and the Syrian regime suggests that if you tell them that they have the right to conduct operations in a kill zone, they’re going to define the kill zone as an—as an ISIS, as a Nusra area, when in fact they’re going to go after the opposition that we say we like, which is what they’ve been doing. That’s exactly what they’ve been doing. GORDON: Well, which is precisely what I want to stop. And that—if they went after—I mean, the premise of a ceasefire is obviously that the sides respect it, and Russia or Iran have to respect it. And the deal would be that they would not be using force against the agreed areas. And if they did, then it would be off. But as Paul, I think, said earlier, you know, this is not fun for the Russians and Iranians. There are real costs to the Russians as well. Over time, they don’t know how this is going to end. It could end badly for them. They’re fueling Sunni resistance and potential terrorism against Russia. Look at the civilian airline. So it’s imaginable that if we were no longer asking them to give up their major client, that you could imagine them respecting the sort of ceasefire. DORAN: The emphasis in that—the emphasis in that sentence is on imaginable. GORDON: Yeah, look, everything’s hard here. And if—you know if people have one that’s really easy to imagine, I just think it’s—the reason I say imaginable is that’s what—you know, that’s sort of the best we can hope for in a Syria case, something that might be able to work. Because the notion that I think is behind your suggestion requires an even greater suspension of disbelief, that a little bit of military power leads to this transition and putting the right people in power. So all of these things are really hard to achieve, but I think this one is not impossible to achieve. Last point—I know Paul wants to get in—the other thing—the other reason, to go back to the original question, I think it would be in our interest is, well, you know, what’s really fueling ISIS and this terrorism that we’re seeing spreading? It is the conflict itself more than it is the existence of the Assad regime—which, by the way, has been in power for decades. It’s the daily killing of Sunnis that is mobilizing and radicalizing other Sunnis around the world. If you could stop that, that’s not fulfilling all of our goals, because we’d much rather get rid of the regime entirely, but that would be a big deal. DORAN: The argument I just made is that you’re not going to stop that, and that’s what you’re not facing up to. PILLAR: The United States does have important interests with regard to countering the influence of ISIS that is not to be equated with any interest we have with, you know, who’s the top dog in this capital or that capital. But the—I want to acknowledge that the questioner raises an additional important question that we need another hour session to address which we haven’t been addressing, and that is types and degrees of use of military forces against ISIS, and what works and what doesn’t. There are all kinds of issues there, and all kinds of potential for being counterproductive with regard to playing into the ISIS narrative, with regard to generating more recruits, which is one reason why some of the rhetoric you hear out there about, you know, taking out ISIS—it’ll be so easy for the superpower to do this—leaves totally unanswered the question of what happens after we take out. In Iraq or whatever, what we have, basically, is more chaos, more violence, more of the kind of vacuum that the likes of ISIS and al-Nusra have profited from in the past. HAASS: —you are seriously hamstrung in your effort against ISIS. Q: Thank you, Richard. Congratulations to all of you. One issue is how do you deal with the Syria—I mean, the Sunni strategy that Mike has been saying. 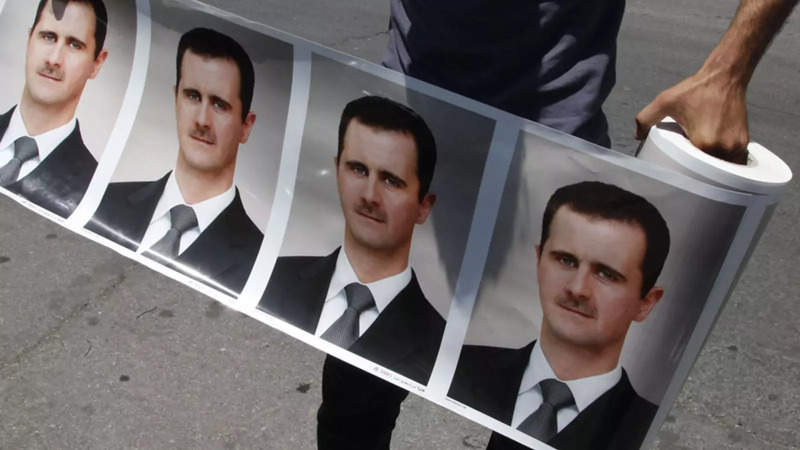 How can you keep Assad in and still have a Sunni strategy? Would you address for a minute whether the key to that would be a Saudi agreement that ISIS is basically a fundamental threat to their existence, which I think it is? And it’s beginning to be evident in the way the Saudis reacted in the killing of the 44 Sunnis, jihadists. And I would argue that a fundamental way to approach a Sunni strategy in Syria is to get the Saudis to agree that it’s now in their interest to—not to support or allow their locals to support the Sunnis, and even the Shia—the ISIS, but actually get the Gulf States and Saudi Arabia to give us a Sunni strategy in Syria. HAASS: Let me sort of broaden that, which is, is there any way—I mean, with either Saudi Arabia or Turkey, is there any way to influence their policy in Syria? PILLAR: You know, I think, Bill, it sure would be nice if the Saudis more rationally and intelligently followed their own self-interest—(laughs)—in ways that, unfortunately, they haven’t. And this gets into the realm of emotions, of Saudi perceptions of Assad. This goes back to things like the assassination of Rafik Hariri in Lebanon and how this tugged very strongly at the heartstrings of Saudis, and they—that’s why they hate Assad. It’s a matter of emotion, but not the very sound calculations of their own interests, that you accurately describe. There have been times when the Saudis have faced this realization. When they first got hit with al-Qaida terrorist attacks in the kingdom, in Riyadh, in 2003, then they finally, you know, made some changes in their whole approach and weren’t just trying to sort of export the radical Sunni problem to other people to worry about. To what extent, you know, like things like the most recent events may get the wheels turning in the heads of the current regime in Riyadh in a way that will go in the direction which you describe, and which I hope it would, I just don’t know. But it’s going to take a lot of persistent diplomacy and tough love kind of talks on our part, whether it relates to Syria or whether it relates to the broader Saudi approach to radical Sunni terrorism. HAASS: Phil, why don’t I give you 30 seconds and Mike 30 seconds? As we’ve all experienced in government, it is really hard and usually unsuccessful to just tell countries what their interests are, and that they should really be doing what we think they should be doing—you know, trust me, seriously, you know, this is in your interest. And that’s the challenge we confront on this one, Richard, with the Saudis and the Turks: they just define their interests differently. And we can tell them all they want that their main concern should be ISIS, and they just don’t agree. And you know, we all have a lot of different enemies and adversaries throughout the region; we just rank them differently. And for the Saudis, Iran is way ahead of ISIS, sorry to say. And for the Turks, the Kurds are ahead of ISIS and Assad is ahead of ISIS. And so we can tell them—(laughs)—all we want, and sometimes we might be right, but we’re a long way from persuading them. And that’s why, frankly, both of them have been less concerned about—because their overwhelming priority is getting rid of Assad and undermining the Iranians, and in the Turkish case the Kurds. They’ve been less concerned about weapons and money and ideas flowing to radicals in Syria because their priority is something else. And we’ve tried really hard to get them focused on a different priority and haven’t been successful. DORAN: I think they are—I think the Saudis and the Turks are totally rational, and they’re—and they have defined their interests correctly, and it’s us who are confused. The Kurdish problem is the—is the number one problem for the Turks. The Iranian problem is the number one problem for the Saudis. There is—the Saudis have nothing like the Quds Force, no instrument for projecting power across the region. We have adopted a policy from Baghdad to Beirut that plays into the hands of the Iranians. They’re on the rise. We’re doing nothing to stop it. And the Saudis have said to us: if you’re not going to do anything, then we are. So our policy is fueling this—is fueling this escalation between Saudi Arabia and Iran. We have to—we have to start from the assumption that there is a massive gulf in the region between the Iranian alliance of Iran, Assad, Hezbollah, and to a certain degree Hamas, and everybody else. And we have to—we have to decide which side we’re on. Everybody in the region—everybody in the region right now says we are tilting toward the Iranian side. As long as that perception is out there, we have lost this game.